There’s more than meets the eye with All Funned Up, the debut LP of one Super Happy Fun Club. At first glance, it’s a no-nonsense, balls-to-the-wall pop-punk assault with little purpose other than getting fans in the mosh pit and keeping them there. But the band’s name isn’t all bitter irony: the band’s logo allows the chirpy cloud domain over the crossbones lurking below, after all, and its music doesn't shy away from steeping resonance from images plenty of disaffected teenagers and twentysomethings should latch onto. On this debut release, the band builds in just about every conceivable way from its first EP, showing a matured perspective and backing it up with stronger songwriting and instrumentation. That’s not to say, of course, that this is an exercise in intellectual wankery: no, All Funned Up wears its charms proudly on its sleeve. Its approach is simple on paper, firmly resting between the goalposts of pop-rock and punk. What’s disguising this setup, however, is fantastic hooks and creative, dense songwriting. “Move On” leads the album off with soaring “whoa-oh-ohs” and riffs galore, and the chunky stomp of the chorus provides enough muscle to ground Pandav’s sentimental vocal. The prominence of the piano plays a delicate melodic counterpoint to towering slabs of guitar and drum, an elegant design choice setting The Super Happy Fun Club apart from similar pop-rock acts. All Funned Up also shows ample evidence of a band coming into its own musically. The members display a very strong rapport, letting the melodic instruments take a surprisingly prominent place in its repertoire without necessarily sidelining the guitar and drums. Then there’s lead vocalist Stubhy Pandav, who invites comparisons to Tim McIlrath’s brattier younger brother: he hits a tone between hapless ennui and fiery vitality that brings a simmering tension to the low-key conflicts laid out across the album. One of his strongest performances is on the charming, wistful “Enemy,” where he displays vulnerability and hope beneath a vocal as gruff as sandpaper. When he alludes to nights spent on the floor, we’re right there with him. It’s also worth mentioning just how much The Super Happy Fun Club can cram into compact slices of pop-rock. “Okay Okay” boasts nothing less than two blistering verse-chorus runs, a romp of a bridge with a hook that’s just begging to be shouted back by thirty-forty people in some dank garage somewhere, and another go of the chorus—and then it even finds room for some chilling reggae guitar licks in the maelstrom. Meanwhile, “Blinders” features the most massive chorus the band’s written to date, but the rest of the song offers just as much of a sugar rush: sweet guitar licks, deft drumwork, and one of the album’s most sprawling narratives propels the action forward without resorting to tactics of sonic intimidation. But when the band gets loud, it really means business, so All Funned Up's loudest moments tend to be its brightest. “Good Year” is a prime example: while the lyrics dig deeper and deeper into the loneliness and melancholy of New Year’s Day, the song only builds and builds. The tension culminates in a fantastic bit of visceral Millenial angst, when a gang of vocals explodes momentarily only to reveal one voice held at gunpoint against the now-lone piano: “Are we having fun yet?” he asks, the misery so thick one could cut it with a beer bottle opener. Closer “Plus One” relies on a similar dynamic but flips the departure point and the destination: the piano drives the verses, the guitars and the drum drive the chorus, and all the while the dynamics ramp up and up until gang vocals launch the song into the stratosphere in the most powerful (and maybe the only) moment of redemption to be found on the album. And maybe that ending is a succinct summation of what All Funned Up represents, for both the creators and the listeners. Just as The Super Happy Fun Club deals with the struggles of a generation in growing pains, the ostensible audience for its themes, the band too is stuck in the middle of that nebulous period. It's a time when getting drunk is less about the drink than it is about the escape; when even a brief rendezvous is enough to send a free spirit soaring; when New Year's Day can be just as terrifying a time as it is a chance at redemption. 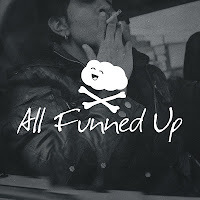 All Funned Up isn't a perfect album, but in its flaws, it is a commendably honest one, and it suggests that perhaps we'll all find our way in the end.